It is known that Frances Shand Kydd had an affair with James Goldsmith (Zac & Jemima's father) before Diana was born. Frances was very unhappily married (as we all know) but there have been attempts to say she was too needy/nervy and not Jimmy Goldsmith's type. However - most women were Jimmy Goldsmith's type. Then there were attempts to rubbish it all saying the affair was over before Frances became pregnant with Diana. Who knows except I agree with you the resemblance between Zac (and Jemima) is stunning. Let's not also forget the bitter divorce between Frances and the Earl Spencer and her own mother took sides with the Earl and gave evidence that she was not fit to be a mother. Shame on them all. BTW the story of the affair was in a biography and I can't recall who wrote it but I am sure someone more knowledgeable than me will be able to fill in the gaps. First time I read about this. He does look like Diana but would her father accepted her if she wasn't his kid? I suppose the fact that Diana was a girl wasn't so much of a problem for Earl Spencer, if she had been a boy then it would have been an issue because of inheriting Althorp and the title. Adultery, as far as I can make out, was a fact of life among the upper class so it wasn't something to make too much of a fuss over. The resemblence between Diana (and William, particularly in his younger pretty boy days) and the Goldsmith children is too astounding to ignore. I wondered whether it had been proven, or there was any other compelling evidence. I've always thought Diana was different to the other Spencer children, not just looks but her whole charismatic persona...and by all accounts, Sir James was quite a character. But they could have used that to make Frances even worse during the divorce. And the red haired gen? Did it came from the Windsors? Or the Goldsmiths are also red haired? Red hair is a Spencer trait, but I don't know if the Goldsmiths also have it. I don't think the Earl Spencer was so nice of a man to have doted on a child whose paternity was suspect. Yes, that's what I think too. But he may have accepted her if he considered that he would look worse if it was known that her wife had a kid with another man. Accepted, sure. But by all accounts he doted on Diana. I beleive aristocracy have a much easier relationship with "cuckoos in the nest" than the rest of us. It was a common event and the artistos and Royals would just gather any such child into the family to avoid a scandal or complications. Although, thinking about it, this was also something that many families did in the UK before the war. I went to school with a girl whose "Aunty" was really her mother. Her grandparents passed themselves off as her parents to avoid the stigma of being illigitimate. This is most interesting and it reminds me it was Tina Brown who wrote the book which revealed that James Goldsmith was allegedly Diana's father. What is certainly true is that he and Frances DID have an affair. There's a fascinating little story in the comments (if you like conspiracies) and it does make you start to think a bit. The Goldsmith connection. Reading nothing I didn't know about 50 years ago. Both the boys and girls of the top families are given lists of suitable marriage-partners, in order of preference. Their inheritances depended on where on the list they wound-up. Problems arose when the same girl had the same guy at the top of their list - claws out!!! - or the guy with the best inheritance chances was gay. The girls, even if they were lesbian and some probably were, of course, at least preferred a guy who was a good f##k. They would wail in despair "Can I borrow yours sometime!? You lucky girl, he's GREAT! Can I?" They cared less about love, per se, as it was the norm for such people to fill-in the gaps with toyboys/mistresses, other people's wives/husbands etc. I know this as I sat there, listening to the cackle as the young teen girls working at the Palace looking after Chas and Hoss proffered lists all over the place. They were NOT allowed to marry outside of - I'll use the phrase, THE CLAN - I dated a couple of girls a few times, that was ok, but they told me not to get too involved, I had no chance. You are beginning to uncover what I've told various people of, and been laughed at to my face. I did wonder about the lovely bride. As people I wish them all the best, they do seem to be a good match and genuinely in love (want bets on Harry going for Gold with Pippa? He seemed smitten. Me too!!!). It didn't equate with what I know, how could Wills marry a simple 'normal' girl? It doesn't happen. And, thank you aangs, I now know my gut-feeling was right, and he HASN'T. 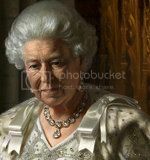 Kate is a Goldsmith, one of the cream of Nobility, a 'hidden spare'. One of the Palace girls I dated was of the Goldsmith/Mendosa clan (same as actor Peter Sellers, also one of their 'spares'). The clans are seemingly sharpening their swords ...again. The thing is, who gets their head lopped-off this time? Look past the Jewish issue, look past the names, think CLANS. By the way, Camilla was one of those girls. Forget the blurb they first met age 20 or so, lies all of it, they've always known each other. And, though she wasn't on his list HE was number One on HERS. I simply can't work-out the mechanics of the wheeling-and-dealing behind the scenes here, but believe me THE CLANS ARE ARISING! A sudden guess: Do 'they' think the Royals will be weakened when Charles takes the Crown, Wills being given the job, an unfortunate helicopter accident leaving her Queen? Is that possible? If so, a contact of mine maybe was right. I consider him to have genuine access to good intel. Though the Jewish bit raises an eyebrow. He definitely was Jewish. He told me there have been 4 attempts to take the Crown, beginning with Mountbatten, but the war got in the way. the 2nd was something around the Profumo/Ward thing, then possibly the apparent 2 attempts to take over Parliament in '68 and '74 (the Harold Wilson stuff). The last attempt was Diana. He said there were indications a 5th attempt was under planning, why he and friends were investigating. Is Kate the 5th attempt? The best soap-opera in the world, mate, Simon Cowell couldn't do it better! Are the goldsmiths the miners? Or is that from the maternal side of Carole? We're talking about a wholly different group of Goldsmith's here. Anyway, didn't Diana bear a striking resemblance to her paternal grandmother, Countess Cynthia Spencer? I was commenting in relation to the quote posted by TB. It says that Kate is a Goldsmiths and that it is important. The resemblance to the Goldsmith children is far more striking IMO. I think the Windsors have red hair in their ancestry too, Queen Alexandra and Queen Mary (who Harry strongly resembles) had red hair. Well I think Diana looks very much like her mother who herself looked like a Goldsmith. I think Diana is a blood Spencer. ^ Oops, sorry, removed it (before I read your post) because it wasn't working. Don't worry, maybe you can try finding the pic in google and link it here. 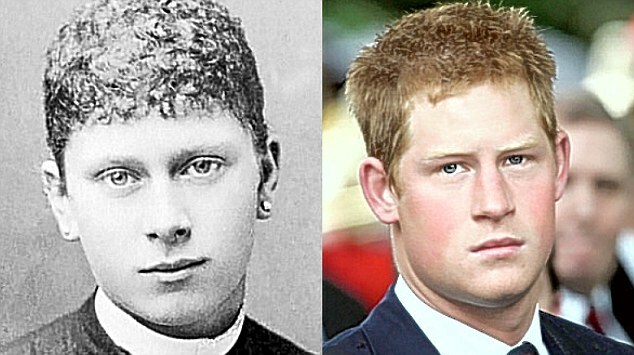 The Windsors (not just the Spencers) also have a red hair gene, so red hair in Harry and Wills is not solely attributed to the Spencers for example: - Harry and a young Queen Mary - showing their similar facial features and red hair.